How to install and uninstall Any DVD Cloner Platinum? Q: How to install and uninstall Any DVD Cloner Platinum? 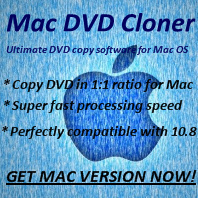 A: Install: You can always install the latest version of Any DVD Cloner Platinum from the download center. Uninstall: Firstly, please uninstall the program and delete all related files of the program. NOTE: Besides uninstalling the program via Control Panel, you can find out a folder named with the program's name via Hard Drive Disc C-->"Documents and Settings"-->click "current user folder"--->"My Documents", then you can find out a folder named by "Any DVD Cloner Platinum", please do remember delete it. If you met any questions or problems when using the program, please contact us via support [at] dvdsmith.com (replace [at] as @ before sending message) for more advice.